Detail the Five dangerous trends and how they're impacting IT staffing firms. Arm you with recommendations for action including the strategies to not only survive but thrive in the IT staffing industry. 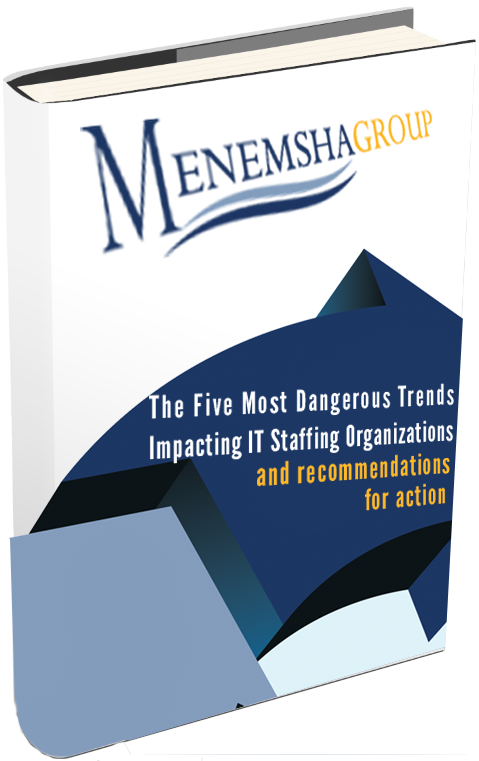 Request The Five Dangerous Trends Impacting IT Staffing Firms, And Recommendations For Action white paper today and get ahead of your competition.